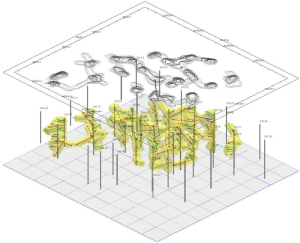 Use RockWorks to interpolate continuous 3D “solid models” or “block models” of simple XYZG points or sub-surface borehole data, for display in 3D or sliced as cross sections. 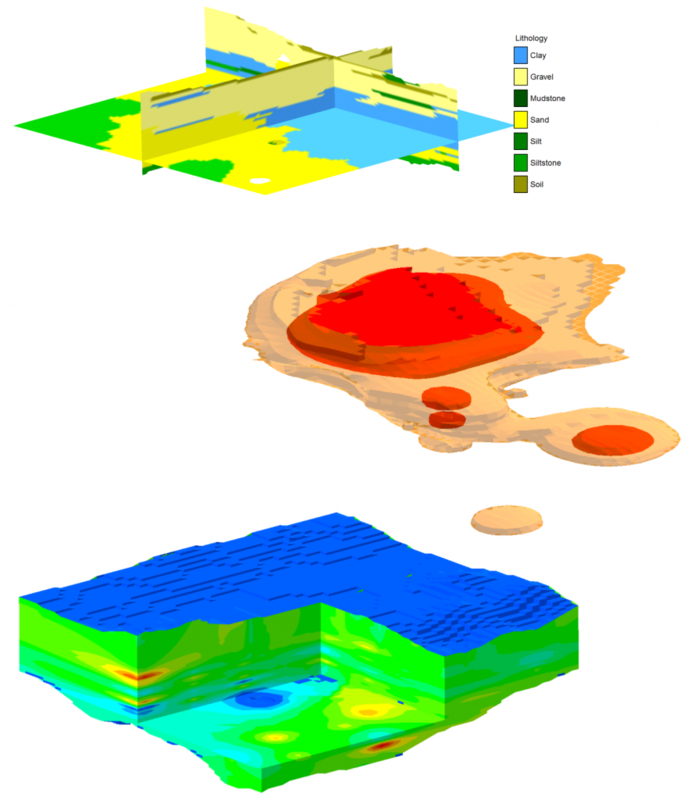 RockWorks offers modeling of geochemical, geophysical, or geotechnical measurments; observed lithology materials; soil colors (e.g. Munsell); fractures; and vectors/voids. Create a solid model from a list of XYZG points: Basic, Standard, Advanced. 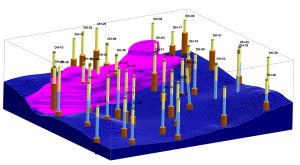 Create block models of assay concentrations and display them in 3D as isosurfaces or voxel models. Run a floating-cones pit optimization. 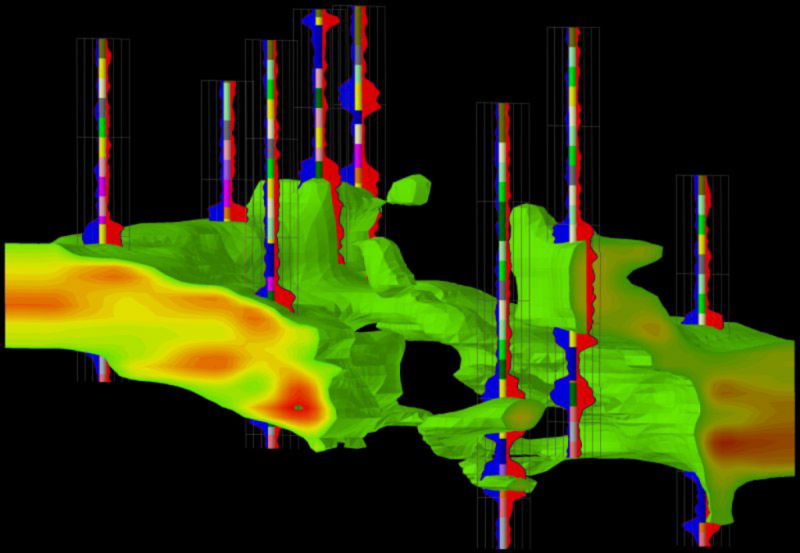 Create solid models of downhole point measurements – gamma, resistivity, etc. Create static models of contaminant plumes and display them in 3D as isosurfaces or as color-coded voxels. Create transitional time-based models, display these “morphed” sequences, and create movie animations. 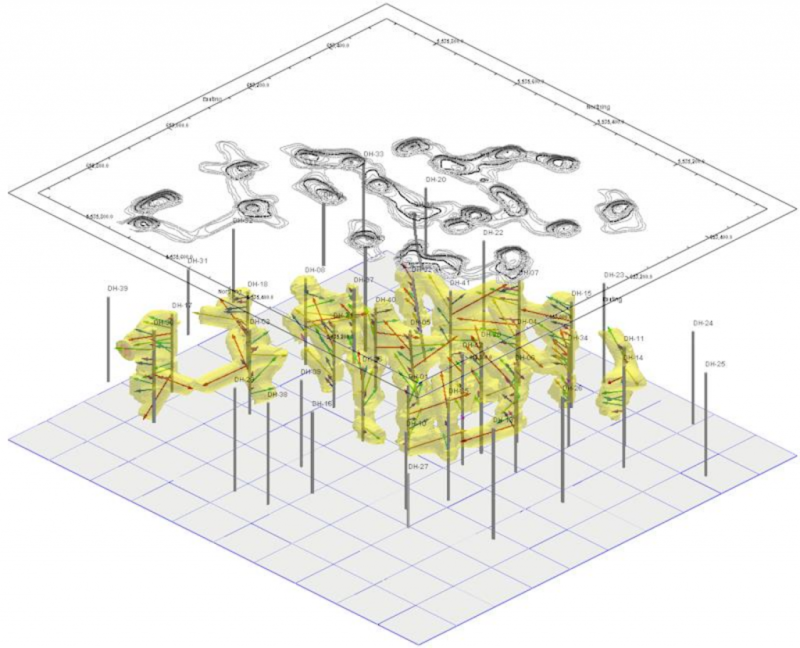 Create solid models representing the distribution of your lithology material types. Display all or selected materials as color-coded 3D voxels. 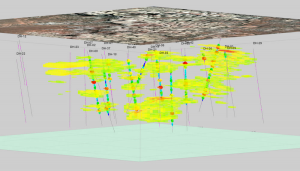 View volumes of each lithology type. Display interpolated color data as 3D voxel models or 3D points. Use RockWorks to convert downhole directional data into solid models that approximate the extents of the vectors. 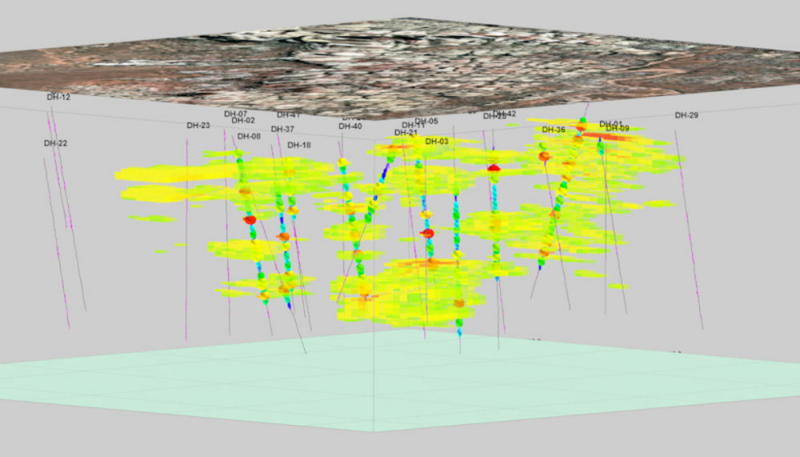 An example application is the generation of void geometries (cave models) based on downhole laser surveys. This entry was posted on June 12, 2017 by Rockware Test Admin.